ASC's liabilities increase by $120 and the expense causes owner's equity to decrease by $120. 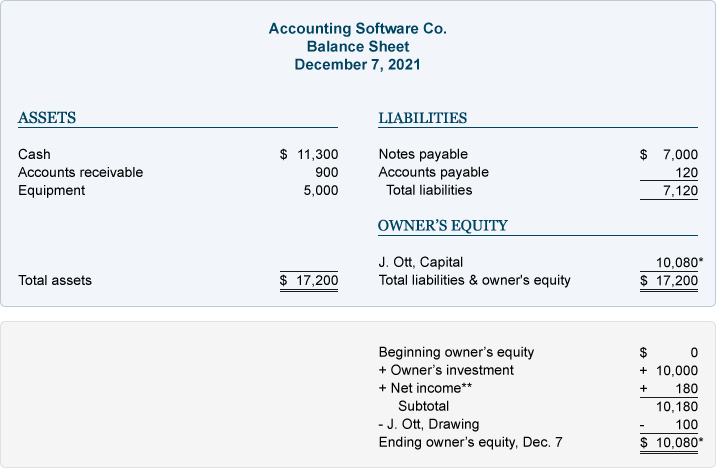 The totals show us that the company has assets of $17,200 and the sources are the creditors with $7,120 and the owner of the company with $10,080. 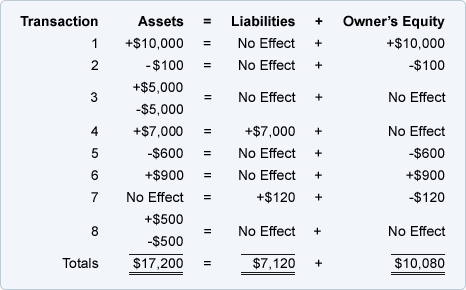 The accounting equation totals also tell us that the company has assets of $17,200 with the creditors having a claim of $7,120. This means that the owner's residual claim is $10,080. **The income statement (which reports the company's revenues, expenses, gains, and losses for a specified time interval) is a link between balance sheets. It provides the results of operations—an important part of the change in owner's equity. The totals for the first eight transactions indicate that the company has assets of $17,200. The creditors provided $7,120 and the owner provided $10,080. 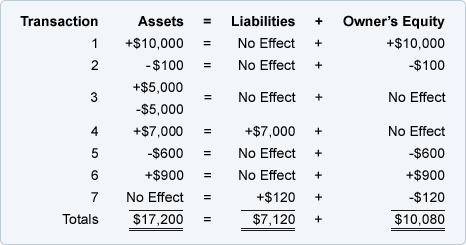 The accounting equation also indicates that the company's creditors have a claim of $7,120 and the owner has a residual claim of $10,080. 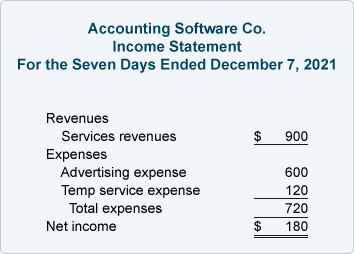 **The income statement (which reports the company's revenues, expenses, gains, and losses during a specified period of time) is a link between balance sheets. It provides the results of operations—an important part of the change in owner's equity.